It would be totally normal for you to have nightmares about that accident for awhile. Or to replay memories of the accident over and over in your head. Or to see a commercial for a car and have a flashback of the accident. Each time those memories pop up your body feels as if you are reliving the accident. The same anxiety, same knot in your stomach, the same nausea, same anger. It all comes flooding back. Re-experiencing is more than remembering. We can all remember bad events from the past but when you re-experience, you don’t just remember, you re-live the event. That is what makes this so upsetting. These memories become “intrusive.” They intrude in your day, in your life and throw you off balance. After a car accident it is normal for you to avoid getting into a car for awhile or to not want to go down the street the accident was on. You might even avoid people who helped you after the accident because they remind you of it. Because of the re-experiencing symptoms you feel when you are reminded of the event you start to avoid people, places, and things that might trigger the memory. You may even avoid talking to others or going out for fear that others might start asking questions that you just do not feel like answering. You also start to do a lot of things in order to avoid: distractions or self-medication. Many people will start working non-stop, staying so busy that they don’t have time to think about what they went through. Others will distract by binging on t.v., video game marathons, shopping or gambling. And many people turn to substances such as: food, alcohol, drugs, or prescription medications, to block out the memories and shut down the feelings. If you’re avoiding people, places, and things because they might remind you of your trauma and set off very unpleasant re-experiencing memories your world starts to get smaller and lonelier and you start to feel down. In the beginning, it is normal if after the trauma (e.g., car accident) you feel down and depressed and you have lost interest in doing things. It is normal for your thoughts to race through your mind as you think through all the “woulda, coulda, shoulda’s.” It is normal for you to second guess everything that you did and blame yourself, blame others, or feel guilt and shame. But over time, your view of yourself and the world can become skewed, you criticize yourself and you can become very critical of others. You might view the future as bleak, after all if you tried to be a good person and something awful happened to you then how much can you really control in life? These thoughts may even spiral into thoughts of suicide. Your relationships are affected. Because these negative emotions can feel so overwhelming and heavy many people just learn to go numb. To shut down all feeling so they don’t have to deal with the negative emotions. The consequence is that you also end up shutting down your ability to feel positive emotions. Some survivors of trauma also report having a hard time feeling loving feelings towards their family (because of the numbing), which leads to them feeling more guilt. These negative thoughts and feelings are usually the prime target for cognitive behavioral therapy. 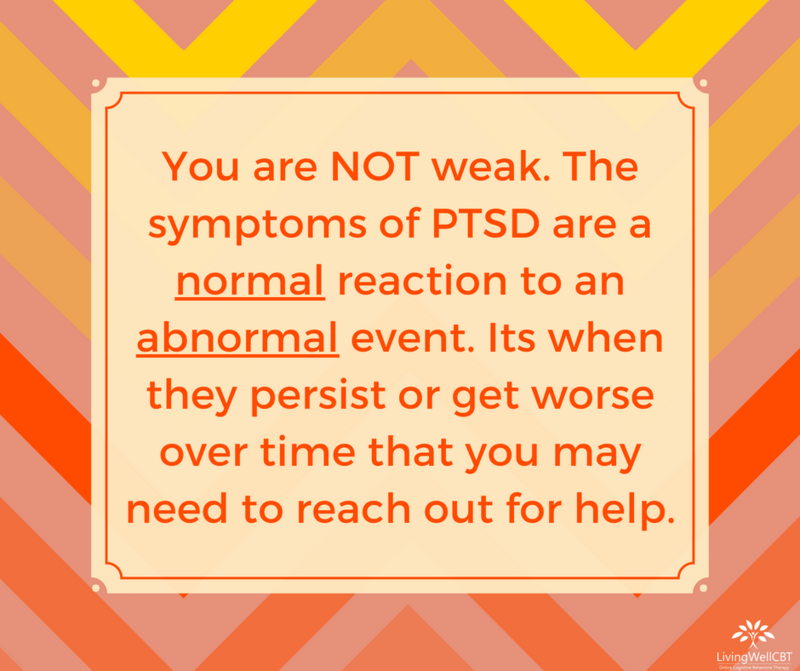 This last category of symptoms of PTSD is called arousal, it means your body is constantly primed for fight or flight (aka in survival mode). It is normal if after the accident you are upset and angry. You might even find yourself being more irritable. It is normal for you to be on edge and on alert. You might jump at the sound of screeching tires, you might stay tense the entire car ride anywhere. You might be constantly scanning the road looking for something off. You might even find yourself having a hard time concentrating at work, school, or even in your conversations with friends because your mind is always wandering off. All of this tension and hyper vigilance leaves you feeling exhausted and fatigued every day. To add insult to injury, you probably also have a hard time falling or staying asleep. Some people might even start doing more risky things, after all, you survived a close call, might as well live life right? The problem here is when you start doing reckless things such as picking a fight or speeding. All of these symptoms are experienced in the body. 1) How long have these symptoms been around? If It’s only been a month, you are likely still adjusting; if it’s been more than 6 months now we’re probably in PTSD territory. 2) How much does it interfere with your ability to fulfill your responsibilities and function day to day? Can you still work? Do you still force yourself to socialize? Are you falling behind on your responsibilities? 3) Are the symptoms getting worse? Is your avoidance increasing? Are you self-medicating more? Are the nightmares getting worse or happening more often? I look for the frequency and intensity of the symptoms here. Someone who has one nightmare every day but they are able to just turn around and go back to sleep, is going to be affected differently than someone who has a nightmare once or twice a week but they wake up covered in sweat and are unable to go back to sleep at all. There are also a lot of others things to consider when thinking about why some people get PTSD and others don’t. For starters, how many traumas has someone survived and how intense or pervasive were they? Maybe someone was never assaulted but they have been in survival mode their entire life because of emotionally abusive relationships. Maybe someone was only ever in one accident but it involved loss of life and lifelong physical impairments. Frequency, intensity, and pervasiveness of trauma matters. Another important thing to consider is what type of support did the person have before or after the trauma? Someone who goes home to a family that is supportive and encourages them to get treatment is going to respond differently than someone who’s family victim blames, shames, or ignores the fact they even experienced a trauma. Level of skill and coping resources also matters. If you grew up in an environment where everyone dealt with problems by drinking or no one ever talked about emotions then you never had a chance to learn how to cope with something like the trauma. There are a lot of reasons why some people develop PTSD and others don’t. 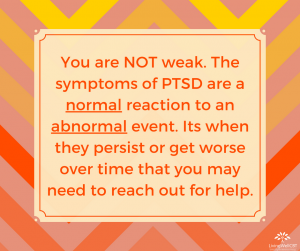 The good news is that if you do get PTSD it is treatable! You can learn new skills, healthier ways to cope, and overcome the trauma you have survived. 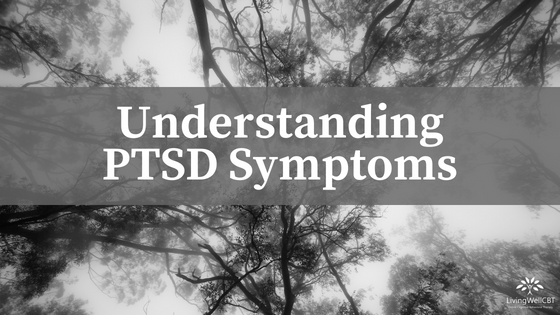 Prolonged Exposure and Cognitive Processing Therapy are just two of the therapies that have been shown to be very effective at treating PTSD.